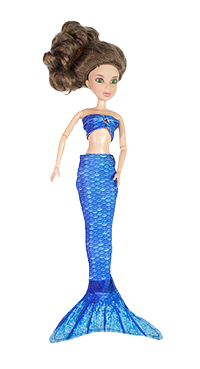 If your child LOVES to dress up and snuggle with their doll, then a Bikini Beach Doll Tail is the perfect addition to their collection. Fin Fun’s Bikini Beach Blankets for Dolls are made from high quality plush material and are the perfect match for our Bikini Beach Cuddle Tails for Kids & Toddlers! 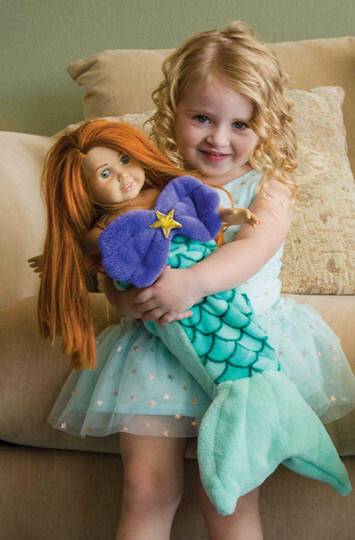 Your child will enjoy cuddling with their doll as they imagine their underwater adventures. Fits large dolls (approximately 18”).